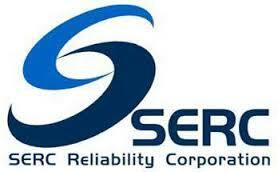 The SERC Reliability Corporation (SERC) is a nonprofit corporation responsible for promoting and improving the reliability, adequacy, and critical infrastructure of the bulk power supply systems in all or portions of 16 central and southeastern states. Owners, operators, and users of the bulk power system in these states cover an area of approximately 560,000 square miles and comprise what is known as the SERC Region. The Manager of Risk Assessment and Mitigation is responsible for managing the activities of the Risk Assessment and Mitigation team, and providing oversight for the timely development of entity risk assessments, reviews of potential non-compliance assessments, entity self-logging assessments, and mitigating activities reviews to support the implementation of the Compliance Monitoring and Enforcement Program. This position is also responsible for supporting, implementing, and optimizing the policies and programs established by SERC. Assessing regional risk on a periodic basis. Assessing entity level risk to assist Compliance Monitoring in the review internal controls in preparation for scoping Compliance Monitoring activities, as appropriate. Assessing risk/harm of all Possible Violations and recommending Enforcement disposition commensurate with the assessed risk posed by the specific violation. Identifying and analyzing emerging risks that have potential impact to the Bulk Electric System in conjunction with events analysis and compliance assessments. Review and analyze collected data, as necessary, for defining the scope of compliance audits. Assess the adequacy of proposed registered entity Mitigation Plans and other enforcement- related inputs. Review and accept/reject Mitigation Plans when filed with SERC. Review and verify completion of Mitigation Plans to confirm a registered entity’s return to compliance. Review SERC’s Enforcement’s settlement agreement “above and beyond” actions for adequacy, and determine whether the actions improve reliability and resilience. Review entity self-logged instances of non-compliances, in accordance with the approved procedures. Participate on various committees and working groups as requested. Assist with development and delivery of training and outreach for SERC staff and registered entities. Provide leadership and direction to a team of highly skilled individuals through effective hiring, coaching, training, development, and performance management. Providing input on staff objectives and reviews. Maintain a positive, productive work environment. Ten years’ experience in electric utility industry in Bulk Electric System operations, planning, modeling and/or protection and control, cyber security, IT audit, and/or IT risk management. Minimum of three years managing diverse groups of professionals. Bachelor of Science Degree in Electrical Engineering, Computer Science, Information Systems/Security or equivalent experience. Demonstrated ability to develop and implement policies and procedures. Understanding of the NERC Rules of Procedure, NERC Compliance Monitoring and Enforcement Program, and NERC Reliability Standards. Ability to work independently on multiple tasks while maintaining deadlines. Ability to manage projects with attention to detail for timely and accurate completion. Excellent communication skills including written and verbal in group settings. General knowledge in the operation or planning of the Bulk Electric System and supporting technologies. Ability to work with and analyze data-intensive and detailed information, and to draw meaningful conclusions from that information. The salary range for this position is DOE. We offer a generous PTO package; paid holidays; medical, dental, vision, life, short-term and long-term disability insurance, and a 401(k) plan with an organization match.